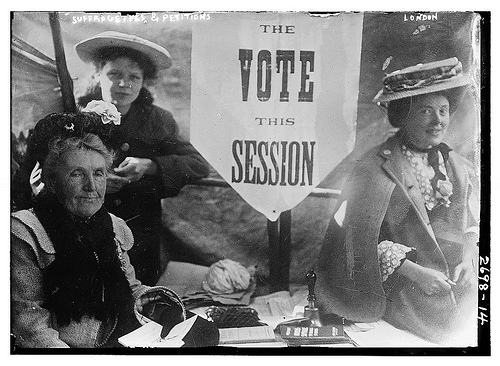 Have you seen the new Suffragette film? Years ago, I studied ‘women’s issues’ as part of my OU degree. At a talk at summer school, the audience was asked to list the reason why children shouldn’t have the vote. Suggestions included: ‘They don’t have the information to make a good decision’, ‘We know better than they do’, and ‘We’ll vote in a way that looks after them’. The speaker then pulled up a Victorian document that listed all the same reasons to justify why women shouldn’t vote. That memory has stuck in my head for a looooong time. However, voting can be unnecessarily complicated. I saw this display on my way into my local Sainsbury’s (see right). 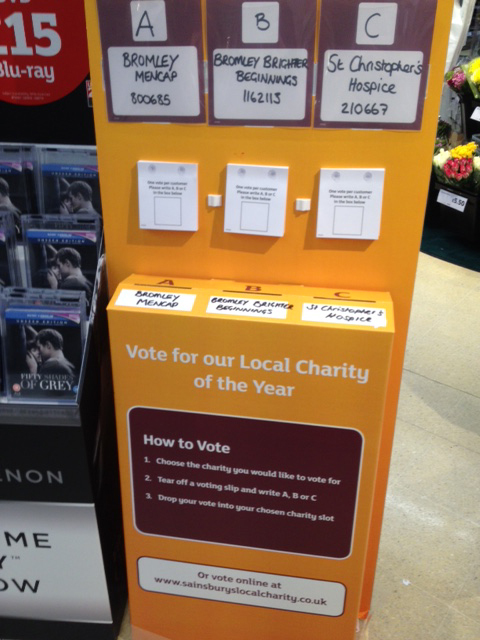 Customers are invited to choose which charity to support by writing A, B or C on a slip of paper, and then posting their vote in the box. However, the design is ridiculous. Waitrose runs a similar system but much more simply. They give you a green token at the till and you drop it into one of 3 separate boxes on your way out. As part of a street clean-up campaign, smokers are encouraged to vote with their cigarette ends for the F1 Grand Prix or US Open. 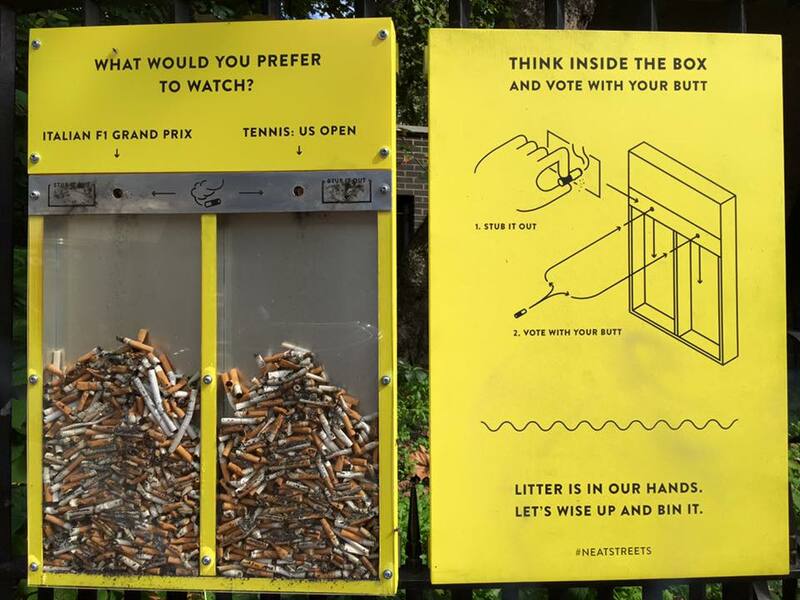 As you can see, it stops people dropping fag-ends on the ground. 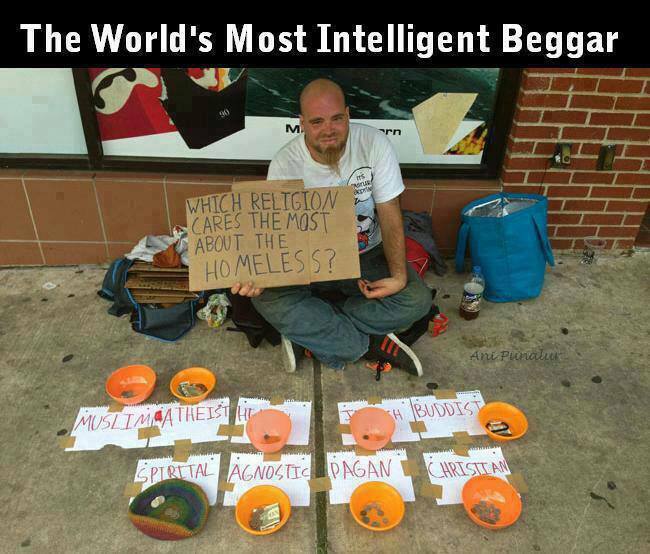 This homeless man has separate begging bowls for each religion – how tempted would you be to give? 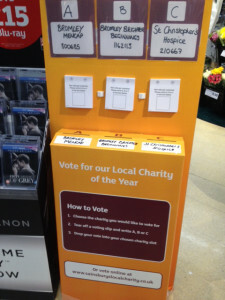 People like interaction, especially online, so maybe you could use an easy voting system to help promote your business. 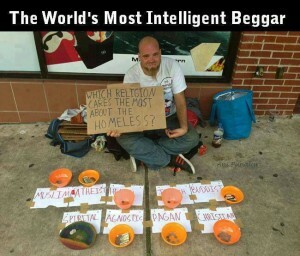 Good idea? Vote yes or no in the comments.